We are a small, friendly and inclusive running club based in Tadworth, Surrey. We cater for runners of all ages and abilities. Our members range from beginners working towards their first 5k or 10k race, to marathon and ultra-runners who are looking to improve their times. We organise the very popular Tadworth 10 race held in early January, a great race to kick of your new year running schedule! Tadworth AC members at a training session at Epsom & Ewell track. 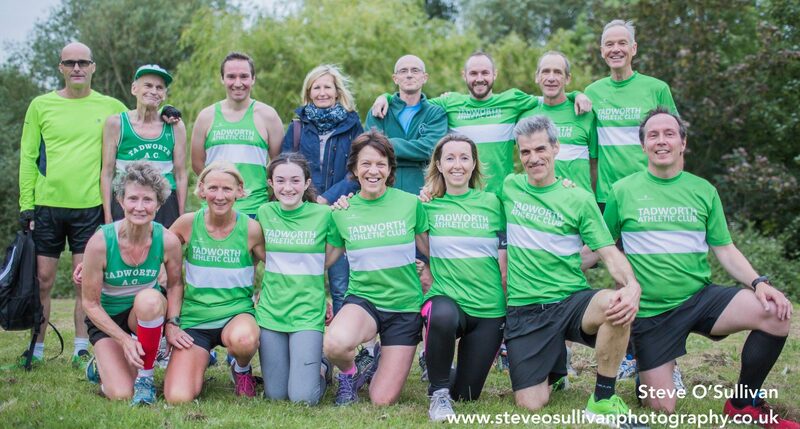 We are active in both the Surrey Road League and the Surrey Cross Country league. Take a look around our website to see how we train, how we socialise and how we combine the two! If you have any questions or queries please fill out the contact form or feel free to pop along to one of our training sessions.